With the internationally acclaimed Calgary Stampede just over for another year, horses are on the mind. Fortunately, the West Coast is home to an array of stables and ranches that offer both English and Western styles of horseback riding. 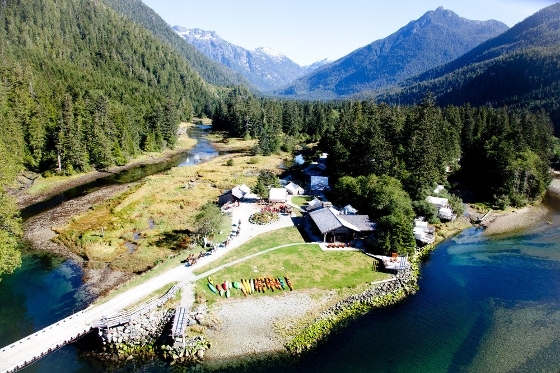 Whether you’re new to the Coast or simply looking to take up an outdoor activity that boasts both tradition and limitless mental and physical benefits, we’ve found five BC ranches you might like. Keen to saddle up but don’t have any previous riding experience? Most places offer lessons and a one-on-one experience. 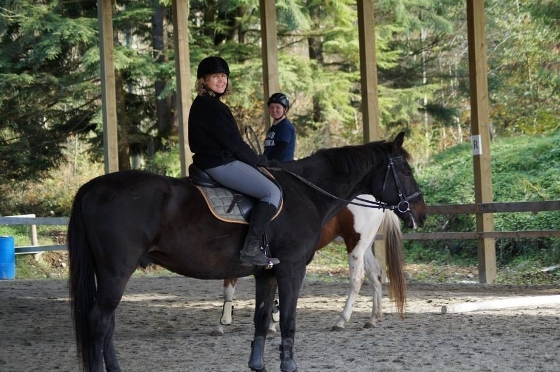 Only 45 minutes from downtown Vancouver, Glen Valley Stables offers some of the best trail horses in the Vancouver area and experienced guides to lead you through Campbell Valley Park. Glenn Valley makes sure to match up horse and riders of similar temperament and riding style so their guests can feel safe. Rides range from 1 - 2 hours, and are available in small groups; the more, the merrier! A lesson and training ranch located in Mission, BC, Hylee Training has something for everyone from clinics, off-site rides, to show and theory lessons in a relaxed, fun environment. Their stables have horses for all levels of riders, including competition stock. A little further out is Copper Cayuse Outfitters. 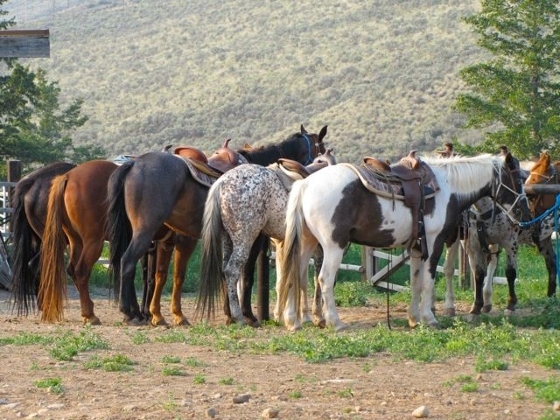 One of the premiere guided backcountry horseback outfitters in the area, they offer several versions of the mountain horseback trail rides, from one hour rides in the Pemberton Valley to 1/2 day, full day, and 3 day rides. Overnight adventurers will sleep in comfortable platform tents for a true outdoor experience. Their Li-lik-hel Mine Ride has recently been recognized as a Canadian Signature Experience! Looking for a weekend getaway? Sundance is a four hour drive from Vancouver and easily accessible via three different scenic routes, making the journey itself worth it. The ranch is located in central BC, making it one of the warmest and sunniest spots to take in a beautiful view of the Thompson River Valley. With over thousands of acres of land, it’s the perfect place to explore on horseback, or simply watch the horses gallop free. How about a full-on vacation in a remote Canadian wilderness resort with five-star cuisine, spa, tents with fluffy duvets and antiques, and other enticing outdoor activities in addition to horseback riding? 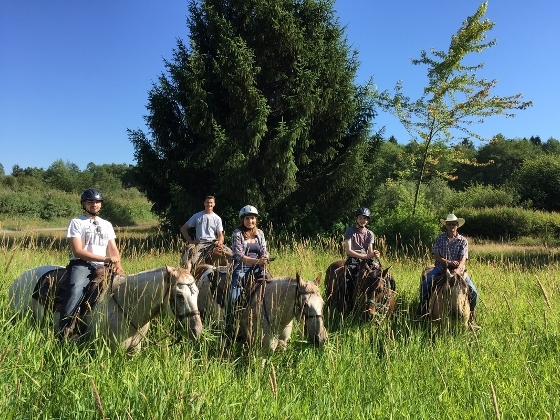 The resort’s team will personalize your daily adventures based on your interests, experience level, even weather conditions and animal sightings; and they offer a range of highly experienced horses for all levels of riders. Yup, sounds like a dream! 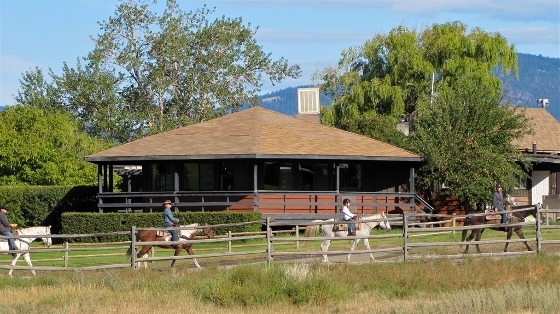 Found another great ranch or stable on your search we don’t have listed here? 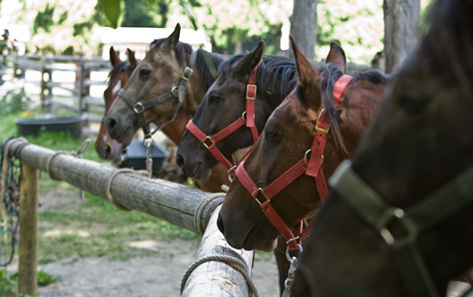 Went on your very first horseback ride and documented it with an awesome picture? Share it with us! And Happy Trails.